Hubby asked for curry chicken today to go with bread and he got what he asked for ... Curry Chicken. 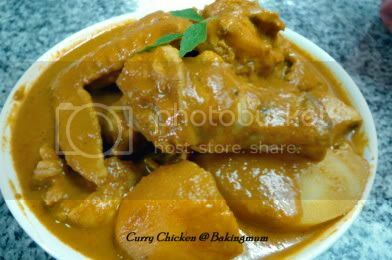 Your curry chicken look yuumy mind sharing your receipe? Hi Christina, the original recipe is not that nice. I will modify the ingredients then post it up here to let you try a nicer version.